During a Reddit "Ask Me Anything" last week, when Gates was asked if, in the near future, the U.S. will have another crisis similar to the one in 2008, he offered a blunt response: "Yes. It is hard to say when but this is a certainty." He added, "Fortunately, we got through that one reasonably well. Warren has talked about this and he understands this area far better than I do." Despite the warning, both Gates and his longtime friend Warren Buffett are generally optimistic about the U.S. economy. In an essay for Time magazine, Buffett stated that years of growth "certainly lie ahead," and "most American children are going to live far better than their parents did." 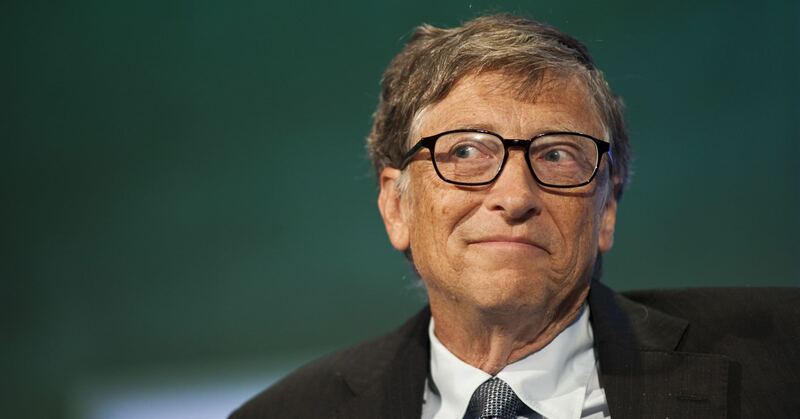 Gates concluded his AMA response by saying, "Despite this prediction of bumps ahead, I am quite optimistic about how innovation and capitalism will improve the situation for humans everywhere." As for how you, the investor, should react if the market tanks, keep a level head and stay the course, says Buffett. In response to wild market fluctuations back in 2016, he told CNBC that buy-and-hold is still the best strategy. "Don't watch the market closely," he advised those worried about their retirement savings at the time. "If they're trying to buy and sell stocks, and worry when they go down a little bit … and think they should maybe sell them when they go up, they're not going to have very good results." Rather, think long term and leave your investment alone, says Buffett: "If you aren't willing to own a stock for ten years, don't even think about owning it for ten minutes." The economy will always have its ups and downs, which is alright. The problem is how low its 'down' will be. At this point, the rich still get richer and the poor get poorer. Unfortunately, the middle incomers are slowly getting phased into the low income group. The moment recession hits, it's going to get ugly. "most American children are going to live far better than their parents did." It will be great if this prediction comes true. Investments are usually long-term. So I do get what Warren Buffett is trying to say. @elixir Yes. Our generation now is loaded with debts and becoming increasingly materialistic. So if the children of tomorrow can live better than their parents, it would be a great achievement of society. The financial crisis comes to no one's surprise, I'm assuming.